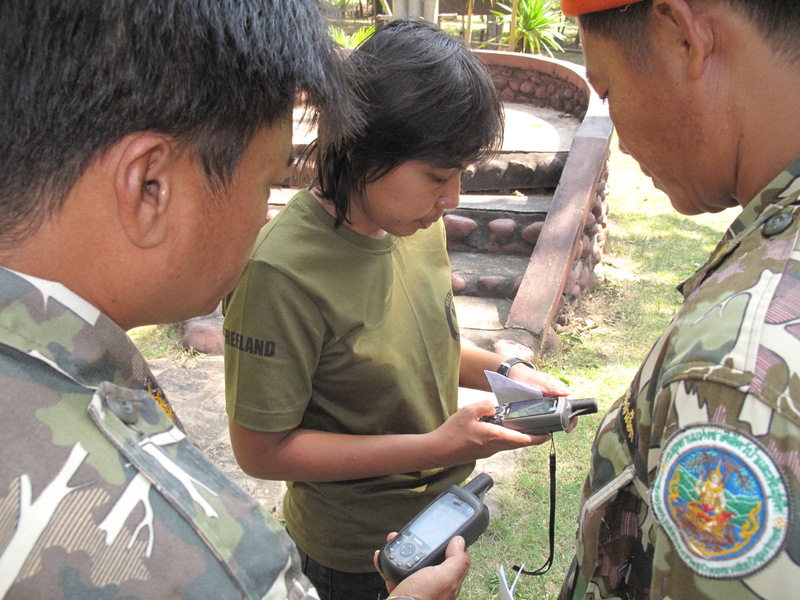 Monitoring wildlife is crucial to prioritizing high risk areas for stretched patrol staff tasked with stopping poaching in Thailand’s forests. Setting camera traps and identifying tracks is the best way to record the presence of reclusive animals, as many only hunt and forage at night. Usually set along known animal thoroughfares for weeks at a at time; camera traps use an infra-red sensor to detect movement, triggering a flash and recording an series of images. Cameras are enclosed inside protective metal boxes to defend against bad weather and clumsy elephants. Today, twenty-five selected forest rangers from Thailand’s national park system completed an intensive week-long monitoring and analysis training course in the Dong Phayayen-Khao Yai Forest Complex. FREELAND’s signature PROTECT (Protected area Operational and Tactical Enforcement Conservation Training) monitoring course covers navigation, data recording, wildlife and wildlife sign identification, as well as camera trapping skills. 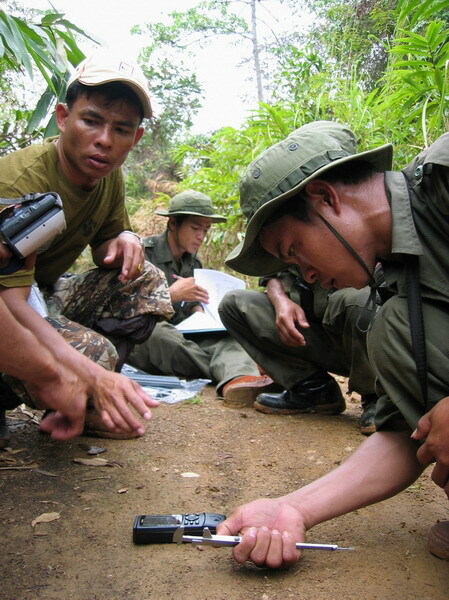 It is conducted in the forest and on patrol to allow park rangers to practice their newly acquired skills. The course aims to develop participants’ understanding of why collecting wildlife and poaching violation data is necessary to guide more effective park management strategies, including how it can be mapped and analyzed. 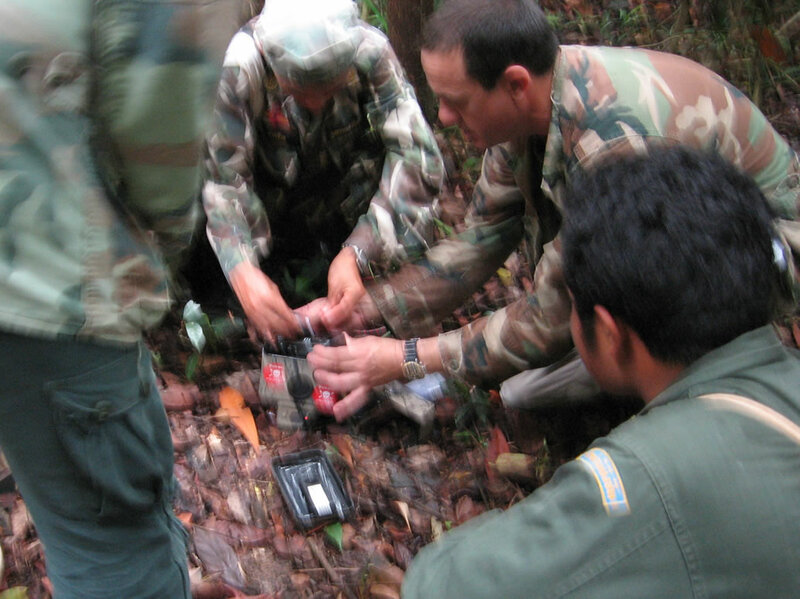 The training is being implemented by FREELAND under the new USAID funded ARREST (Asia’s Regional Response to Endangered Species Trafficking) program.